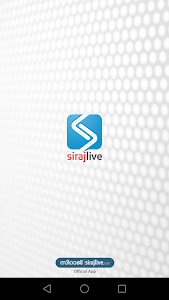 We are very happy to release the Sirajlive Android App to Malayalees around the world. 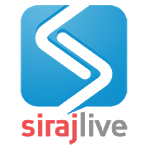 Sirajlive.com is the online face of Siraj Malayalam Daily, Which is largely circulated in Kerala and Abroad. 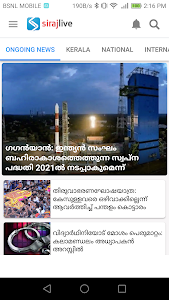 It has now 5 Editions in Kerala (Kozhikode, Thiruvananthapuram, Kochi, Kannur and Malappuram) and three editions in gulf (Dubai, Oman & Qatar).Siraj Daily with its 3 and more decades precious experience now emerges with its android App. An easy Bookmark saving option is provided to the user to save favourite news items on the device. All news items, images and videos can be shared with your friends and family through email, social media or by any wireless connectivity option supported by your device. In additions to this, we have provided option to submit your own newses to us. We will publish it after verification. Siraj daily was established in 1984. The newspaper belongs to Thoufeeque Publications. The head office of the newspaper is at Calicut.